If John Skipper no longer wants to be in the Bill Simmons business, there will certainly be no shortage of offers for The Sports Guy’s services this summer. Simmons should hold a ball to find his next employer. He could dance with each of them deep into the night and then fall in love with his Cinderella—if only he can find her. No matter how he decides where to go, we must prepare ourselves for the Summer of Bill—I hope there’s frolf—with a list of the 33 (!) places Simmons could possibly land for his next gig, ranked in order from least to most likely. It’s worth noting that Simmons could try to do what Dan Patrick did and essentially go out on his own, creating a Grantland-type of site with private funding. Even if he does that, it will surely come with the backing of a big-media company. Simmons has been a trailblazer, but he’s always done it under the safety of the Worldwide Leader. It would be very surprising if Simmons’ next move wasn’t connected to a huge name. Here are some of the most likely destinations. Looking at all the big media (read: TV) companies, it makes the least sense for Simmons to land at CBS. Sure, there is always space on the internet for someone of Simmons’ draw, but whatever move he makes will have to include other mediums, most likely television, and there is no way the higher ups at CBS are going to dump the amount of money Simmons will be looking for on CBS Sports Network between the Doug Gottlieb radio simulcast and whatever jungle-related programming Jim Rome produces every day. CBS may not regret bringing Gottlieb and Rome into their fold, but they surely must admit that neither has developed anywhere near the draw for CBSSN as the company had hoped. Would Simmons change that? No. The only thing that gets people to watch cable sports channels is actual live sports. ESPN has made stars out of talking heads because of all the live sports they produce, not in lieu of it, and there just aren’t enough live sports on CBS proper for Simmons to be worth the investment. He can’t add anything to their NFL, SEC or NCAA basketball coverage and Simmons at the Masters would be worse than Chris Berman at the U.S. Open. That said, Simmons trying to force Jim Nantz out at the Final Four and the Masters would be amazing drama. It’s almost worth hoping for. Similar to CBS, it would surprise me if NBCSN would back a truck up to Simmons just for the sake of it. Different than CBS, however, their all-sports network is actually doing pretty well. NBCSN has developed its niche with live events, including a ton of soccer. With the upcoming battle for EPL rights, it seems foolish for NBC to spend any more money on studio programming instead of putting everything they can into live-event rights, but if they lose out on the EPL rights, they might have some money (and time) to burn on something else. From a web-traffic standpoint, ProFootballTalk buoys the NBC sports platform, and surely there would be space for someone like Simmons over there, so the marriage isn’t as unlikely as CBS, but it still doesn’t seem as likely as a few other places. Still, NBCSN’s hiring away of Michelle Beadle from ESPN was a bit of a disaster, so there could be trepidation on the peacock’s part to try it again, but Simmons comes with a much different draw than Beadle, and one that could play on more mediums than just cable TV. Could Simmons take a Rick Reilly-esque role with NBC where he shows up to all the big events to share some on-air quips about green speeds, horse tracks and hockey fights? Sure, but that was a disaster for ESPN when Reilly did it and NBC seems smarter than that, focusing more on bringing in jack-of-all-trades men like Josh Elliott than opinion drivers like Simmons. That said, Simmons does have a great relationship with the Men in Blazers, and that recent move from ESPN to NBC has worked out very well for all involved. Maybe NBC should be higher on this list after all. Sometimes in a man’s life he needs to change things up. How many years has it been since Simmons first lobbied to be hired as an NBA GM? Simmons probably won’t end up in Milwaukee (or was it Minnesota, I forget) but could he end up with Orlando or Brooklyn? Who runs the Lakers these days? When John Hollinger left ESPN to become the VP of Basketball Operations for the Grizzlies, the internet’s collective gaze quickly turned to Simmons. “Hey isn’t that what you wanted to do?” Deep down, it probably still is. Now would be as good a time as any. Simmons has a long-standing relationship with Alan Sepinwall, one of the great television scribes in our industry, and one of the lead voices at HitFix, a site that focuses on the entertainment industry’s more traditional genres of movies, television and music. The thing about a site like HitFix is that it’s ultimately scalable to add other topics, and a Grantland-like page therein would not only be easy to accommodate, but would make a lot of sense. Not to mention, one of the founders of HitFix is Gregory Ellwood who has in his bio on the site: Gregory also is a passionate basketball fan and player. He can consistently be found hitting clutch 3’s in meaningless pick up games across Los Angeles. I’d be shocked if a conversation with Simmons hasn’t already happened. There’s probably no way HitFix could afford Simmons, and the television presence would be nil, but there would be a direct pipeline for The Sports Guy to connect with all the top names in Hollywood. If producing 30 for 30 has whetted his appetite for more behind the scenes work, this move might not be as crazy as it sounds. I’ll admit the Vice phenomenon is a gaping hole in my internet habits, but the company has been valued at something resembling A BILLION DOLLARS and they are starting a new television station targeting millennials that should launch in 2016. A company with money to burn that’s targeting the Simmons wheelhouse audience and starting a new TV station they’d probably love to fill with a combination of cutting edge documentaries and shows where famous people sit on couches and talk about basketball and other nonsense like reality TV? Yeah, hiring Simmons makes a ton of sense for Vice. Whether it makes sense for Simmons to put his reputation on the line outside the mainstream media remains to be seen. When I brought up my HitFix idea on Twitter, someone replied that a similar model could be used at a place like Facebook. It would be a huge leap for all involved, but it makes a ton of sense in that Facebook is infinitely scalable, has a built in audience of millions that already share content at record pace, and it would be something trailblazing for Simmons that could entice a guy with his status to, once again, change the industry’s consumption of sports opinion and information. Plus, if anyone could afford Simmons, it’s Facebook. This idea has been talked about forever, that Simmons would leave ESPN and take his documentary model to HBO or Showtime. The thing is, 30 for 30 is a rip-off—a well done rip-off mind you—of the model those cable companies have been doing for years. Simmons didn’t invent sports documentaries, he just helped ESPN produce a bunch of great ones. Would HBO or Showtime really need to overpay for Simmons to continue producing great docs? Now, as a host of a weekly show, Simmons might have cache—certainly more than Rome at Showtime—and pairing him at HBO with the likes of John Oliver on the news side could be fascinating. But that hasn’t worked in the past with other big names (Costas, Buck, etc) and while HBO’s Real Sports is as respected as any group in our industry, it’s not exactly Game of Thrones in terms of interest. Fox seems like a smart fit for Simmons in that they have a ton of money, a huge television presence and a 24-7 cable channel that thinks it’s competing with ESPN, even though it’s really mired in a battle for second with NBCSN. Still, adding Simmons to Fox makes a lot of sense stylistically, where his voice would be more of a stretch at NBC or certainly CBS. Fox is absolutely the biggest “hey look at me” places to go outside of ESPN, which would totally cater to Simmons’ ego. Also, the money. Again, like any other non-ESPN cable outfit, ratings could be an issue if Simmons wanted a daily, or even weekly, studio show. But there are creative ways to package his product, and Fox is one of the best places to capitalize on that. It’s not the best, however. What do you get when you combine me and Charles Barkley? 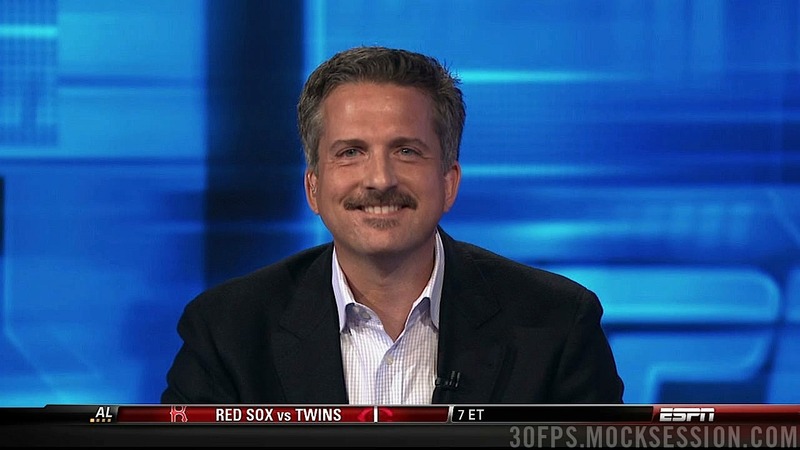 You get Bill Simmons, and that’s exactly what Turner would be buying if—when?—they go after Simmons this summer. In August 2009 I was hired as the National Lead Writer at Bleacher Report in a role that hadn’t existed until they plucked me from internet anonymity after doing a sports media-centric podcast (a homeless man’s Bill Simmons, someone might say) and writing for some of the internet’s bloggiest sports blogs. When B/R created the Lead Writer program—it started with me, Bethlehem Shoals, Josh Zerkle, Dan Rubenstein and Matt Miller—we joked it would either be an absolute failure in six months or be so successful we’d all be hired over within three years. It took four years, not three, for me to officially get hired over—though please come listen to B/R Radio on Sirius XM every weekday from 7-10am ET—but Bleacher Report wasted little time becoming the place to work in our industry. The stigma is gone, and it’s a perfect place for Simmons to land. Hell, I’d fire me to hire Simmons. Add to that Turner’s connection with the NBA, not only the home of the NBA on TNT but also producing NBA TV and NBA.com, and Simmons going to Turner is so damn logical it hurts. A year ago I said I would be shocked if Barkley stayed in TV beyond this current contract, and while I’m sure Chris Webber would love to get off the road to sit at the desk every night with Ernie Johnson, Kenny “The Jet” Smith and Shaq, it might make sense for Turner to go in another direction than another player who will surely be in Barkley’s shadow keeping his old chair warm. That direction could be Simmons. It’s the exact opposite thing Bleacher Report was built on and something the founders had promised they’d never become, but it’s the exact kind of thing Turner would, nay will, do. It makes too much sense for it not to happen. Pingback: HBO reportedly makes "a big play" for Bill Simmons: could that work for both parties?